Finding out about Southwick Country parkrun volunteering opportunities couldn't be easier. Simply open a recent parkrun newsletter, results email or volunteer email, click on 'manage my profile', then 'email options', then select the events you'd like to hear from and click 'save opt-in events list'. You will then receive regular emails from those events letting you know all about their volunteering opportunities. You can see an event's future volunteer roster via their specific future roster page. To get in touch with the event directly, just send an email to southwickcountryparkhelpers@parkrun.com. Southwick Country parkrun happens largely because of our fantastic volunteers, who are almost all regular runners like you. The weekly team of volunteers are led by a small group of parkrun enthusiasts who form what we call the 'core team': They make sure the event is setup and packed away each week, the results published, the tokens resorted, event reports written and so much more. Sean Price, Event/Run Director - Sean is Event Director/Run Director at Southwick Country parkrun as has been since its conception. He is also a parkrun ambassador, chairman of Westbury Wheel- ers (over 170 members), Assistant Secretary to Avon Valley Runners (over 350 mem- bers), Vice Chairman of Trowbridge Sports Forum and the Town Crier of Westbury. Matt Evans, Social Media - Matt ran the very first Southwick parkrun in September 2011, having only started running earlier that year. He credits the parkrun community as being a huge source of support and encouragement in his short running career, which has helped him to his first half marathon in 2012 and first full marathon in 2013. Since July 2013, Matt has been looking after all aspects of social media for Southwick parkrun. Martin Pearce, Photographer - Martin is a keen runner, although finds him- self more motivated to come and help at Southwick Country parkrun than to actually run it. He has only run it handful of times, including the first ever running. His photos of the parkrun have won the weekly parkrun photo competition twice and are being published in the parkrun book. The photos have also now received 1m+ views on the Flickr site. Fiona Price, Run Director - Fiona started running at 40 and recently represented GB in the Half Marathon distance. She first ran at Swindon parkrun and inspired by parkruns all inclusive ethos helped to set up Southwick parkrun. She is usually spotted timing and cheering runners on to their PB. Ken Price, Run Director - Ken has been involved with the Southwick parkrun since day one and performed all the volunteer roles on numerous occasions. Publishes the weekly press report that is forwarded to the local press and uploaded to the website. Preaches the parkrun ethic to anyone who will listen and is pretty sure he has not bored anyone yet. Warren Wade, Run Director - Warren joined the Southwick core team in 2012 after a founder member migrated back to Australia. Being another of our volunteer photographers he has often been seen behind the camera. In 2011 he set the VM40-44 course record with 17:48 which he held for over 2 years. He is currently the road race secretary of local running club Avon Valley Runners and races most Sundays which is why he can mostly be seen volunteering on Saturdays. He can also be credited with the most bizarre injury in Southwick parkrun's history after somehow managing to break his ankle while taking the photos. 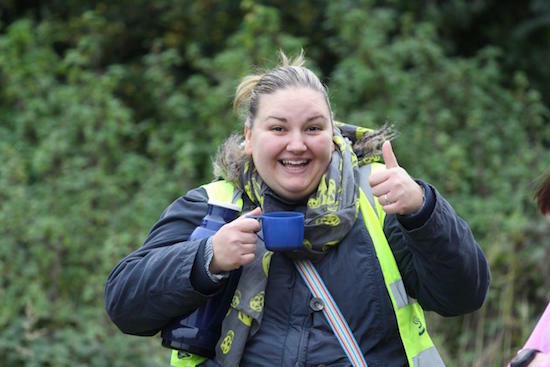 Liz Haigh, Run Director - Liz is a Run Director at Southwick Country park run since its conception; when Sean (Event director) persuaded her it was a good idea and just what the area needed. He was right. Her favourite part of park run is its supportive community and the great friends she has made. As well as running her other passions are clog dancing and roller derby. Though she is also very passionate about parkrun’s risk assessments. We're very grateful to the help provided by everybody, both now and in the past, who've helped make Southwick Country parkrun happen.